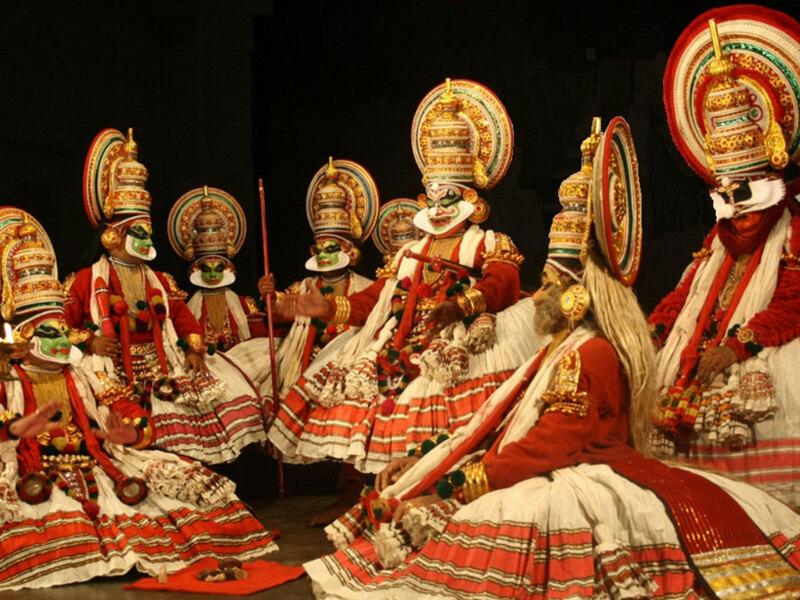 Welcome to India at Kochi airport by Times India Travels representative / driver and thereafter transfer to Hotel. 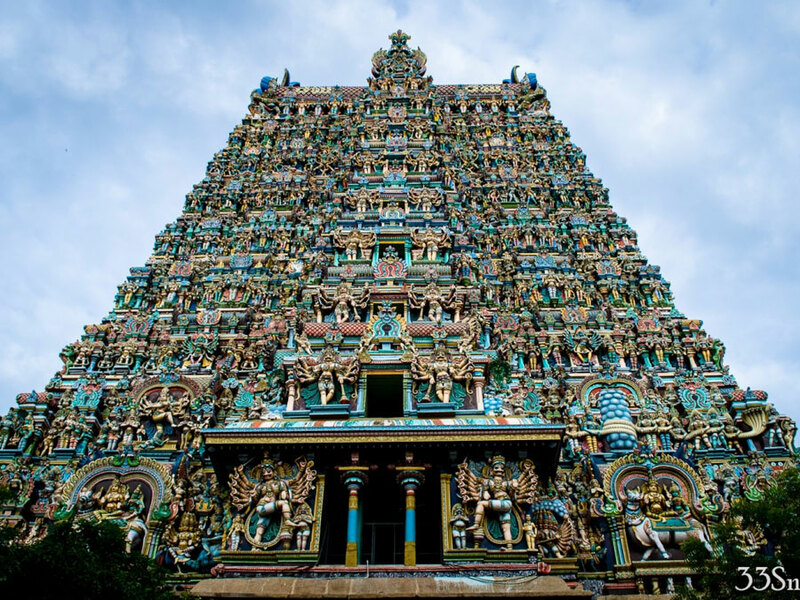 Afternoon you can go for the sightseeing of Cochin. Here you can see the St Francis Church, the oldest Church in India, 500 year old Portuguese Houses, and Chinese fishing nets, 16th century Synagogue, Jew Town and Mattancherry Palace, built by Portuguese, this Palace contains some of India’s most beautiful murals. Evening go for shopping. Overnight stay at Cochin hotel. After breakfast drive to Munnar enroute visit Cheyyappara Waterfalls. On the way to Munnar you can see tea gardens spread like a green carpet over hundreds of kilometers, lush green hills, a place so difficult to describe, very low population too far from pollution, most of the area covered by Tata tea. On arrival check into the hotel. Overnight stay at Munnar hotel. 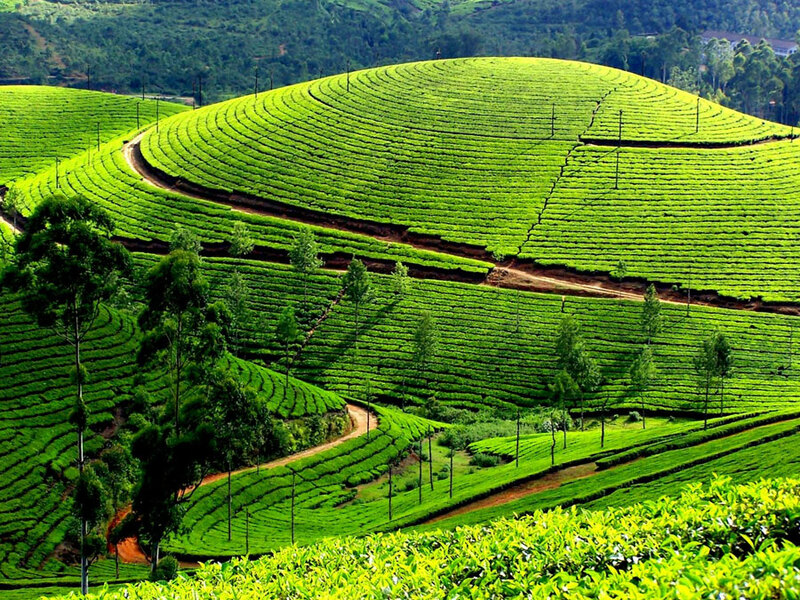 Morning sightseeing in Munnar which includes Raja Malai, a top peak of Munnar where you may see Neel Thar (mountain goats), Tea Museum, Mattupetty Dam, Eco-Point etc. You can also enjoy boating in the Lake (optional). Overnight stay at Munnar hotel. After breakfast drive to Thekkady through cardamom hills. Check into the Resort. After lunch visit spice plantation like cardamom, Pepper, Coffee, and tea estate etc… On way back to hotel you could stop at the local market and pick up some fragrant spices. Overnight stay at Thekkady hotel. 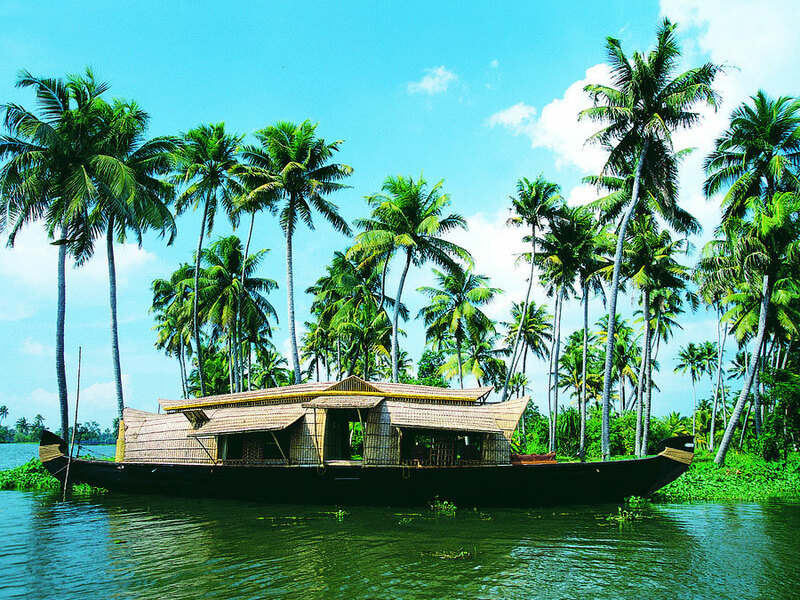 After breakfast proceed to Kumarakom which has a panoramic backwater stretches, lush paddy fields, highlands. 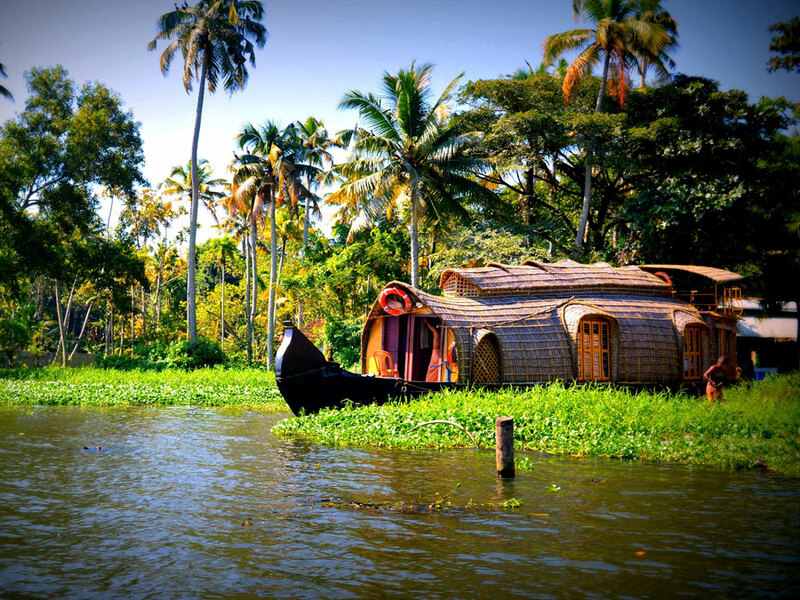 On arrival check into a Traditional Houseboat of Kerala Style and cruise through the backwaters is the fabulous way to explore the fascinating beauty of the backwaters. Stay overnight in Houseboat - Deluxe A/c.